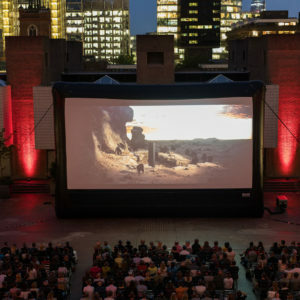 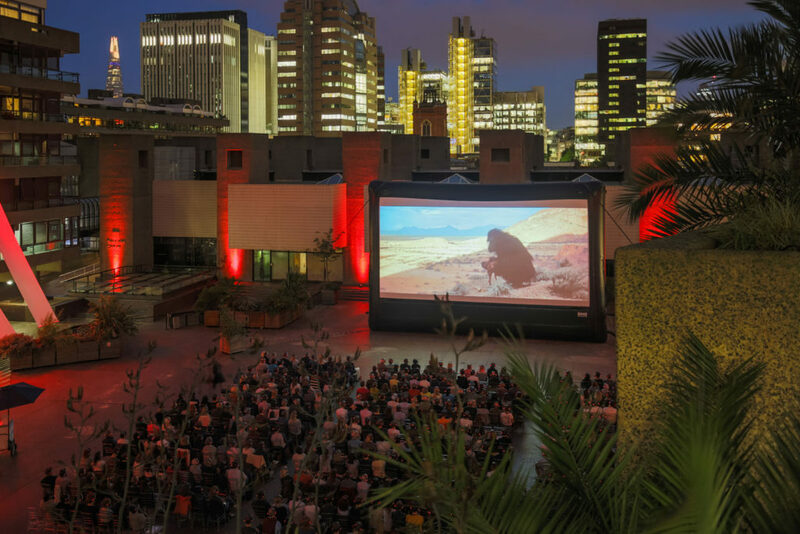 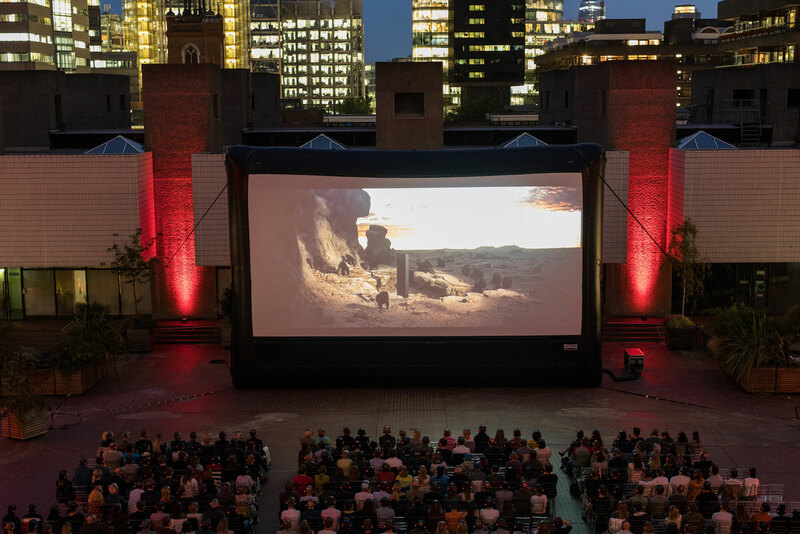 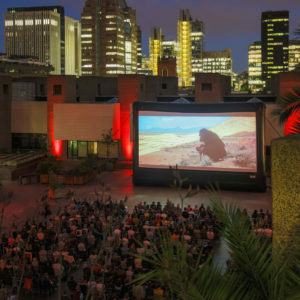 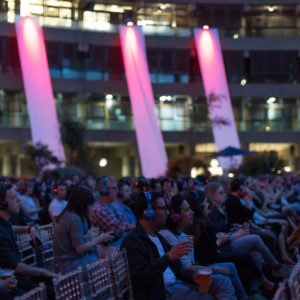 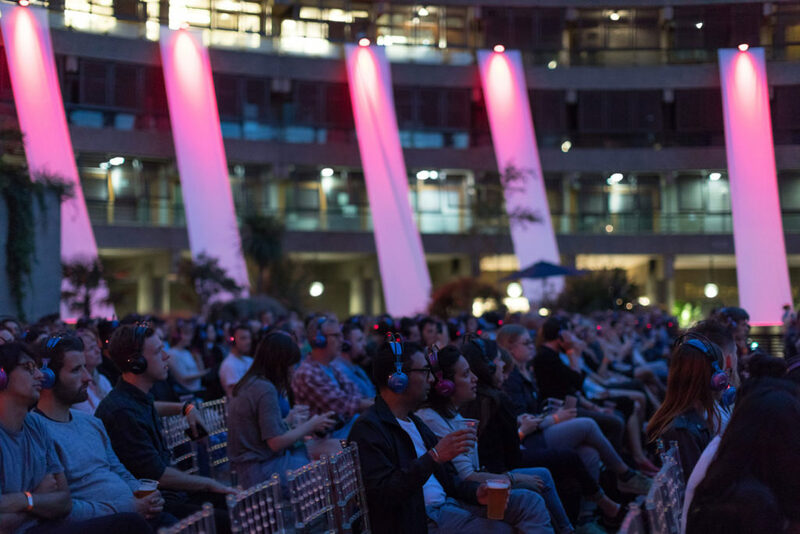 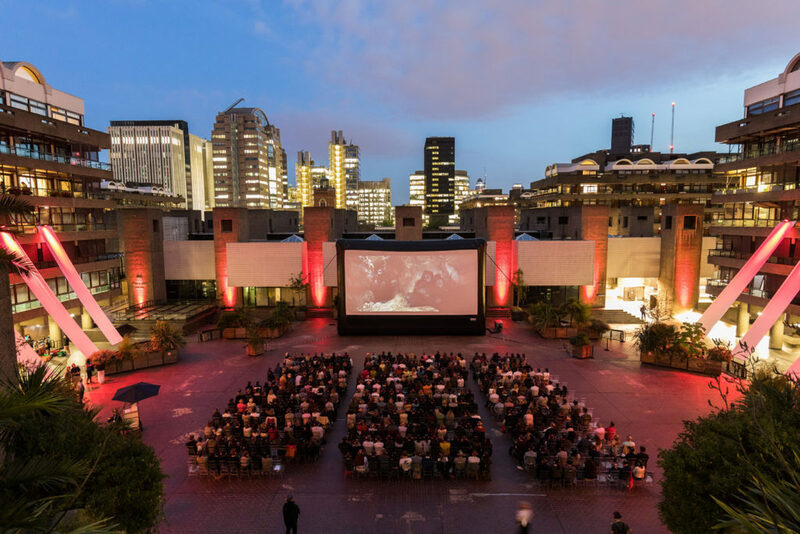 Continuing our work on the Centre’s season of science fiction, Ab Rogers Design created a temporary theatrical backdrop to their first-ever outdoor cinema. 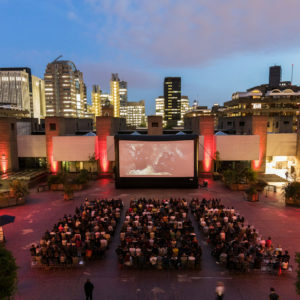 The cinema was located in the outdoor Sculpture Court, deep within the Centre’s iconic architecture and the design of its immediate environment needed to respond sensitively to these surroundings while introducing a new and distinctive identity without distracting from the films on show. 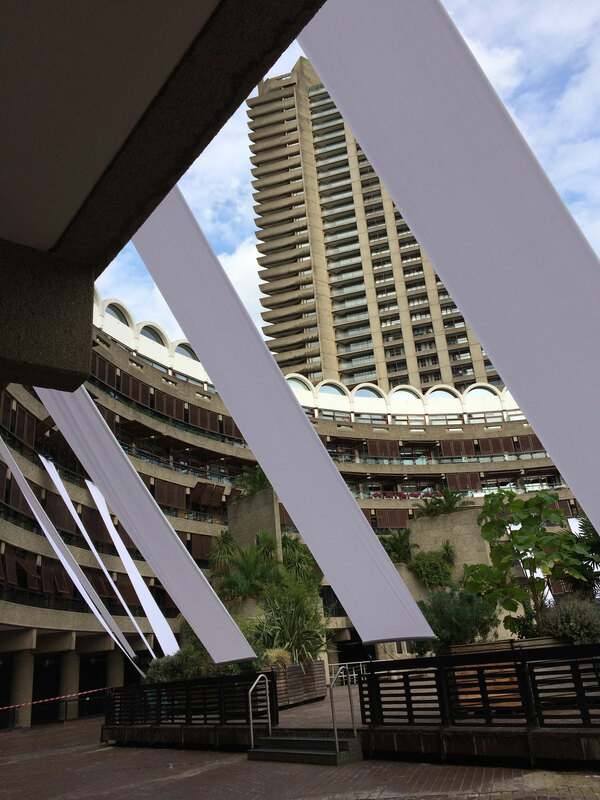 Inspired by the programme of Science Fiction films on show and maximising on its unique location, ARD designed an installation of 12m-length banners spanning three levels of the crescent-shaped building. The translucent white fabric drops were lit with coloured light to give them an otherworldly appearance – like light beams from an approaching alien spaceship. 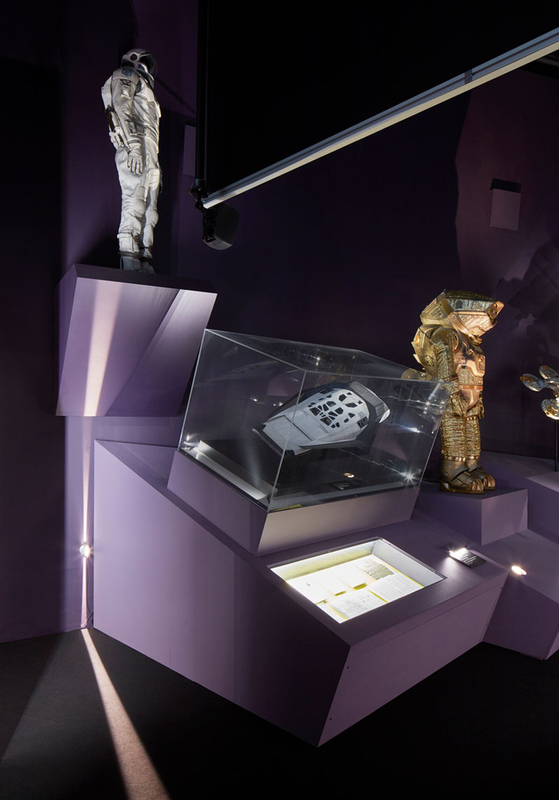 The cast of the lights changed in response to the film on show – red for ‘2001: A Space Odyssey’, blue for ‘Gravity’, violet for ‘Tron’ – helping to further transport viewers into the dynamic worlds on screen. 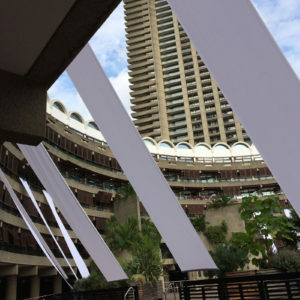 Banners were tethered between the existing structures of the 6th floor balconies and courtyard perimeter using a lightweight and non-invasive system of Shock Cord Rope on carabiners, engineered to work with outdoor weather conditions, or be efficiently de-rigged in case of emergency. 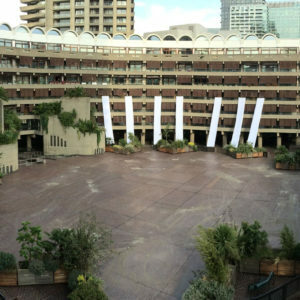 The radial arrangement of the banners created an evocative sense of place, whilst remaining completely penetrable and open to visitors. 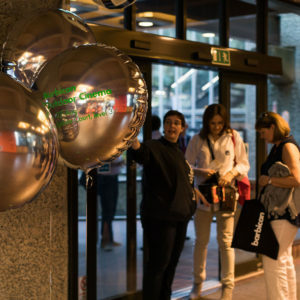 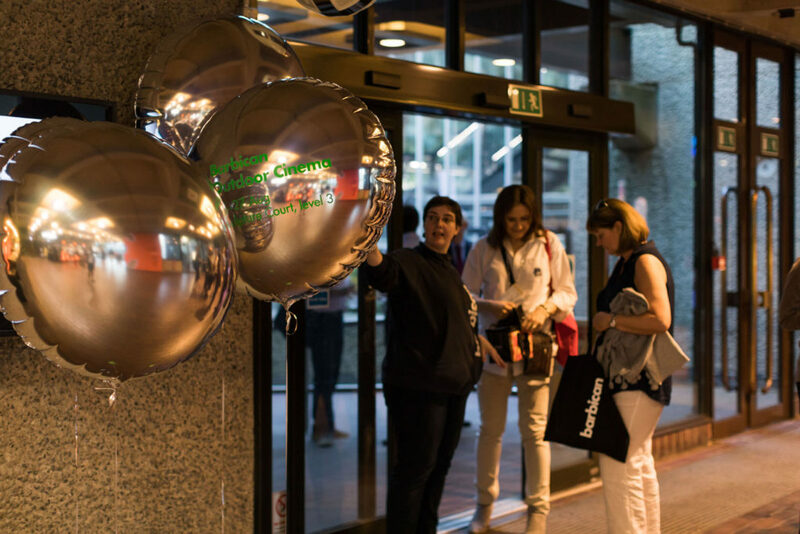 At courtyard level mirrored shards were installed around existing planters reading as alien intrusions infiltrating the foliage, whilst Mylar helium-filled balloons hovered as way-finding. 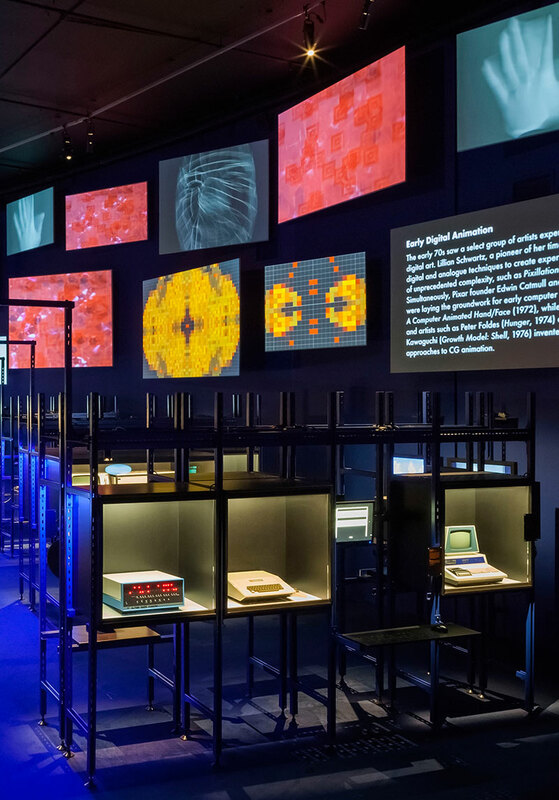 The project set out to achieve a visually impactful and immersive experience for visitors with an economy of materials and physical intervention.